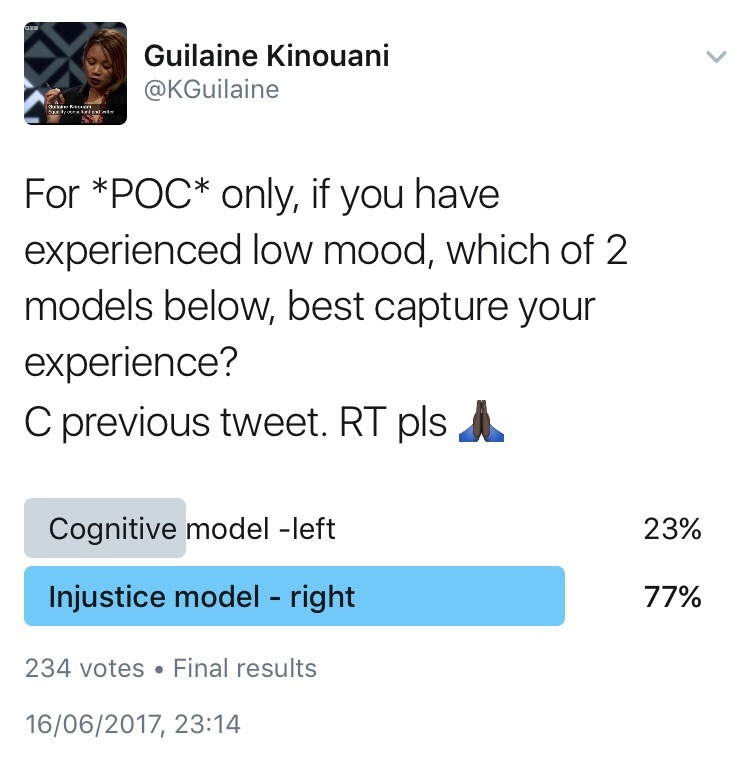 Do you have any recommendations on where I can specifically find studies on PoC? Hi Cece, thank you for getting in touch. I’m glad the model spoke to you, rather bemused that a course which is at least 50% psychology? would not allow you to use resources/material/articles outside medicine, extremely unusual. I could not direct you to medical articles, this is not my area but you may find the resource section on here of some use, if only for your own learning.